A month or so passed, and my stuff was finally done. 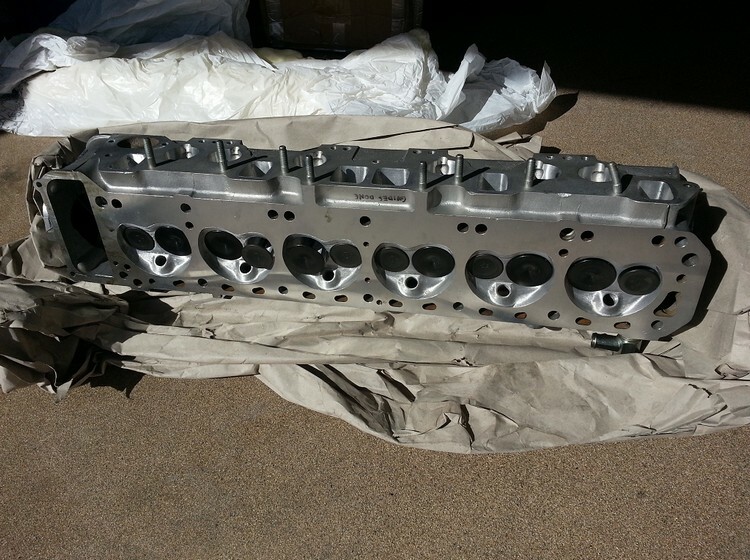 $2400 later, I got the head back. 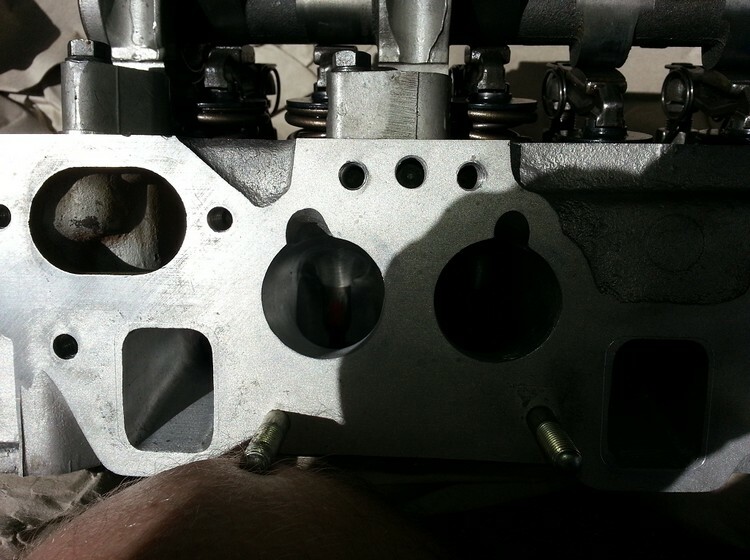 The intake manifold was machined so it was like a cone. 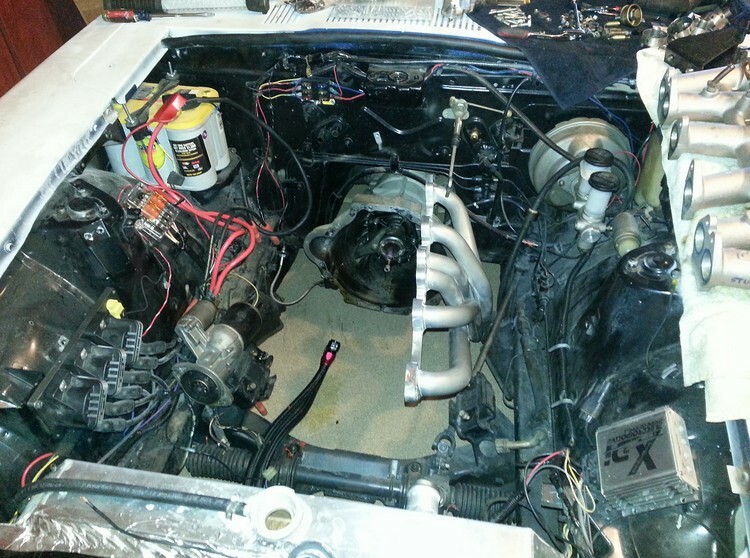 Wide opening on the carb side, getting smaller towards the engine. The balance tubes were also drilled out and blocked off. The side you see below had a 45mm opening. Putty on the balance tubes to block them off. I guess the idea is, you don’t want one tube pulling more fuel/air mixture, robbing from another. 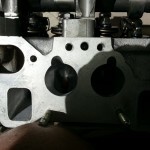 I started assembling the head back onto the engine with a new Cometic MLS gasket that Dave provided. 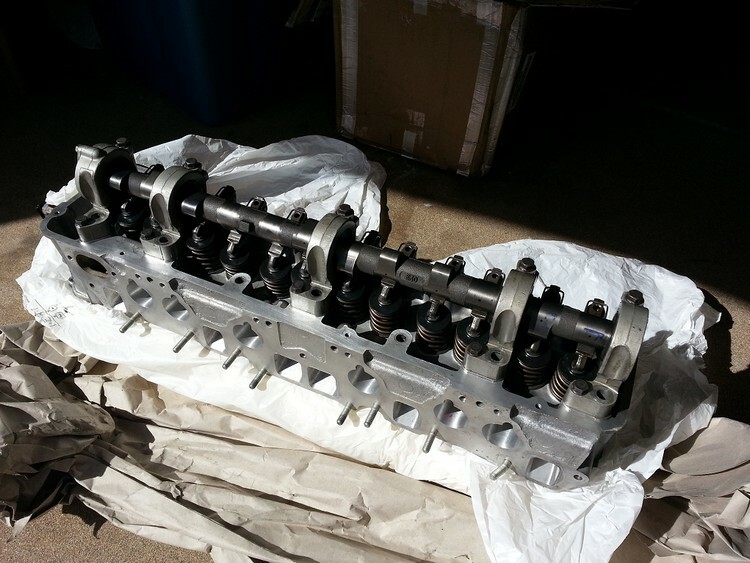 Almost immediately, more problems – the head bolts started snapping before they were torqued to spec! I found someone local who had some replacements for the broken ones, only to have them break again! Frustrated, I ordered some ARP head studs, and it locked down as it was supposed to. Started up the engine, and heard a GLORIOUS sound. Pulled it out of the garage, and into the driveway where I could inspect to make sure everything was working ok. Everything was NOT ok… I had coolant seeping out towards the rear of the head. Torqued some more on the head bolts to ensure it was torqued right, and it still didn’t fix the issue. After some reading and asking around, I was told to get some copper spray to use on the MLS gasket. This would help fill in any little gaps that may be allowing coolant to get free. Drove it back into the garage, and sulked. Take the head off again? I was getting to be a pro at this unfortunately. After I got the head off, I put some Permatex red RTV down on the block to also help. 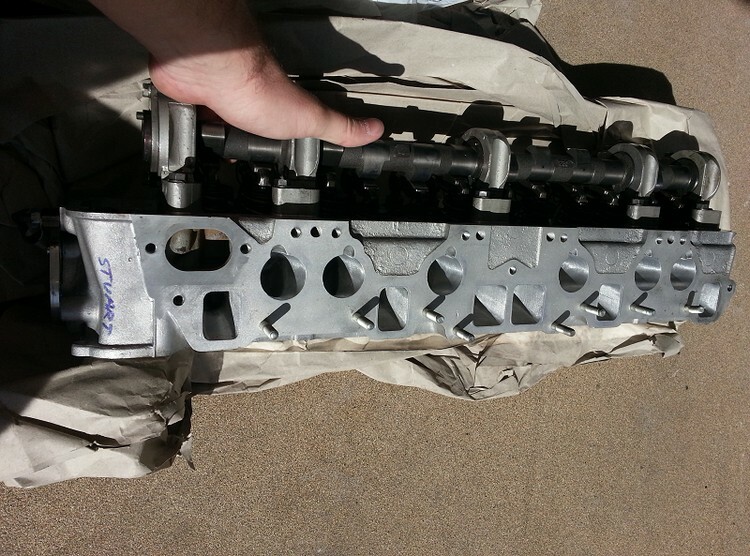 Sprayed the MLS gasket with the copper coating, and again reassembled the head. 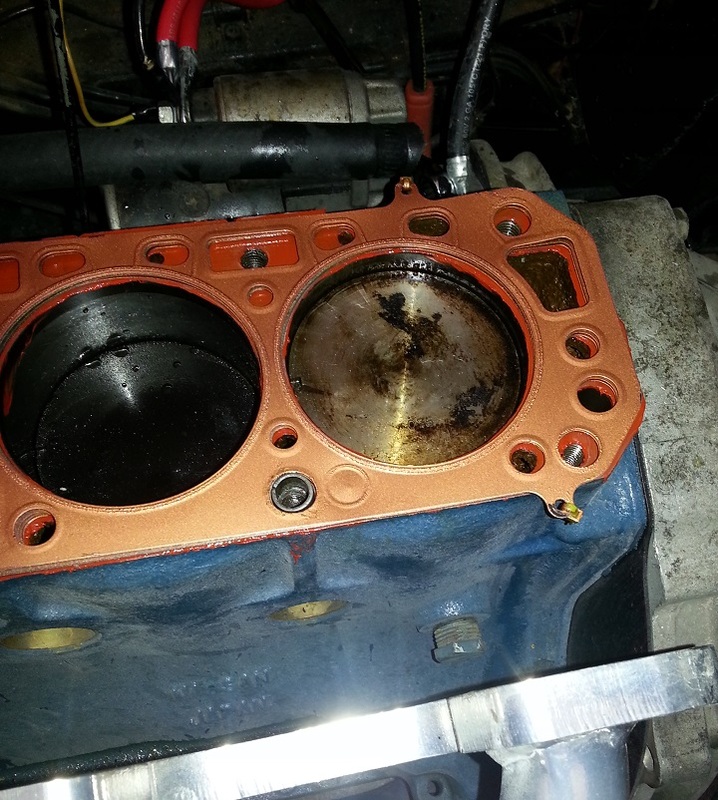 The engine started up, but again coolant came out, flooding the #6 cylinder. Nothing to do but pull the head off again. Now remember… this was supposed to be a brand new remanufactured engine. 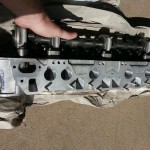 I had put less than 500 miles on this engine, and 0 miles with this Rebello head! I got a straight edge and put it up against the block near the rear. I had sunken gaps everywhere around the head bolts and coolant passages! This wasn’t supposed to happen. 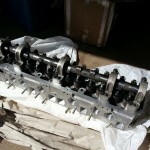 This was supposed to be a good rebuild from a respected Datsun parts reseller. Lots of good reviews, but everywhere I looked on this engine, shortcuts were made everywhere. 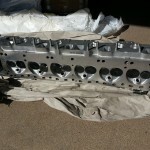 Who rebuilds an engine, and you don’t redeck the block?? Sulking, and ready to throw in the towel, I called it a night for several weeks. The Banzai Runner sat like a boat anchor in my garage. What do I do… Do I give up? Call it quits? All this hard work for nothing? Thousands of dollars spent down the drain? Where do I go from here? Discussed it in detail with my wife, and she understood what was going on. After a long discussion, and a call back to Dave, I was again pulling out the engine, and sending everything back to him. I begged Dave to take pity on me and work with me if he could. I wasn’t expecting much, but we worked out a plan. 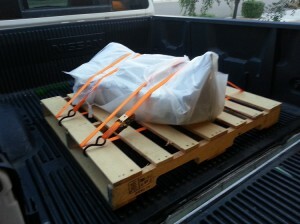 I shipped the block and head back to him for him to do his work. This is NOT where I expected to be at this point in the build – Despite careful planning and execution, what a mess this has turned out to be. Tough decisions to come – Join me for the next episode!